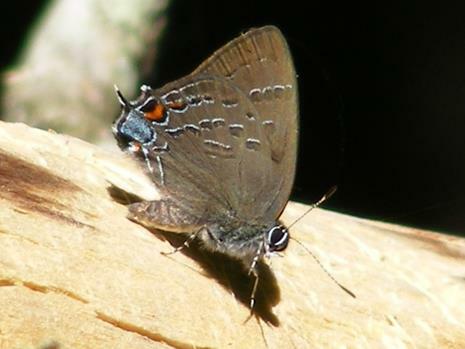 Banded Hairstreak (Satyrium calanus) Sabattus, ME (Androscoggin County), July 4, 2012. 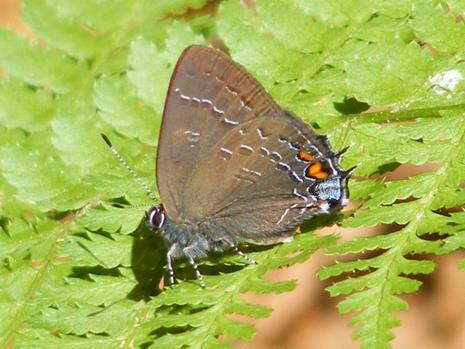 Banded Hairstreak (Satyrium calanus) Swan Island, Perkins TWP, ME (Sagadahoc County), July 6, 2013. 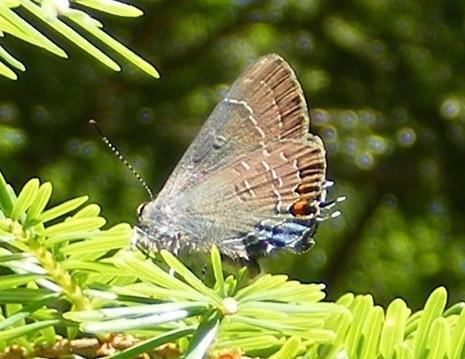 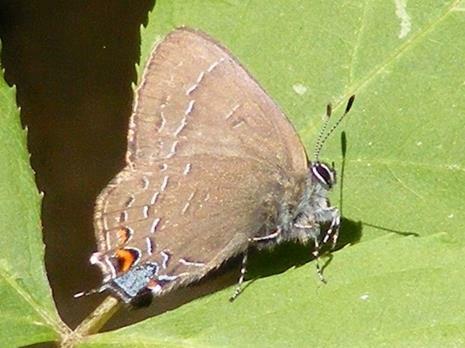 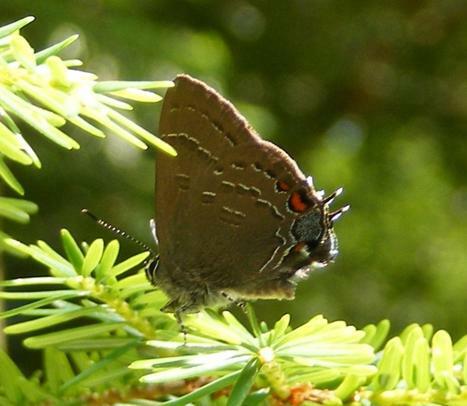 Banded Hairstreak (Satyrium calanus) Saco, ME (York County), July 8, 2014.